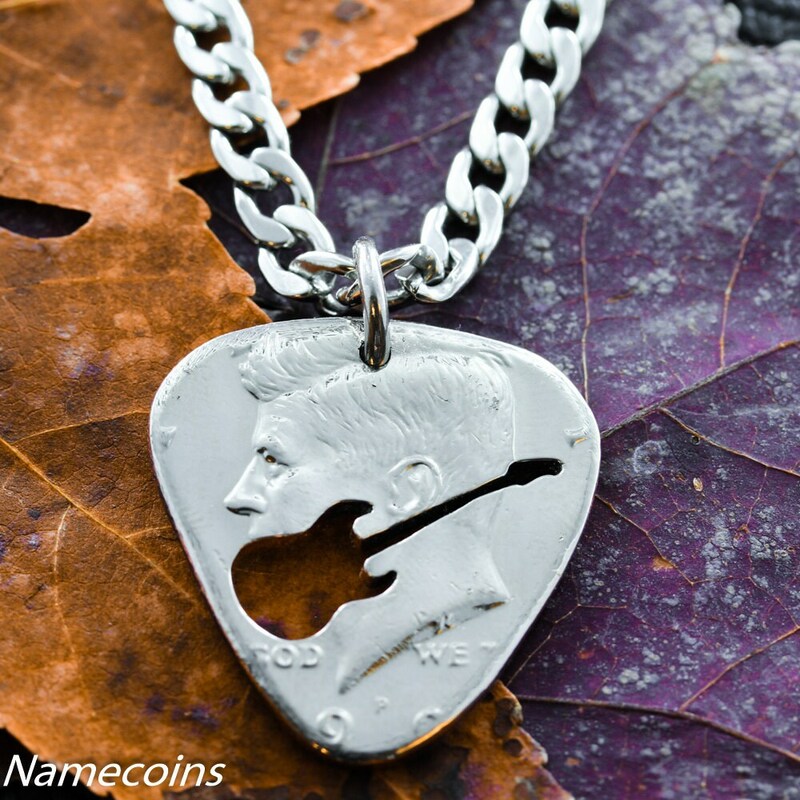 This guitar pick necklace is made from a half dollar which makes it a very nice size and really pops out. This is a unique piece because we cut off and finely polished the edges to give the shape, feel, and size of a real guitar pick. There is no doubt this was once a half dollar, but now it is a symbol of your passion for music. The picture shows a half dollar, but the pricing starts off at the quarter size. Just so there is no confusion :) We have another picture in the second link to show you more what a quarter looks like! A durable and timeless stainless steel chain comes with your purchase. I love the fact that you shipped it just in time for Christmas so thank you on that! The size on the other hand was disappointing. The size I selected was a quarter dollar ....and well it came out more of the size of a Nickel. But other than that the quality is great and the convenience is great. I look forward to ordering more stuff, I just know now how much actually comes off the coin.